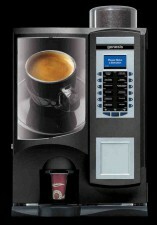 Real Bean 2 Cup Coffee at the Touch of a Button! A Table Top Machine offering more than just Coffee – Espresso, Long Espresso, Espresso Macchiato, Cappuccino, Latte Macchiato, Americano, Chocolate & Hot Water. A Real Automatic Coffee Machine! Real Bean 2 Cup Coffee in an Instant! Available with personalised selections (Ask for more details). A style conscious upgrade of the classic 7100 Table Top Machine. 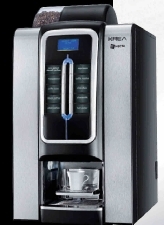 Boasts increased performance and functionality with high quality Bean 2 Cup Coffee. LED backlit touch sensitive keyboard and intuitive user interface and graphical screen. The latest espresso model represents an average energy saving of 30% being more efficient. Internal colour coded components ensure simplicity with maintenance. Meet the HLF 3600f. 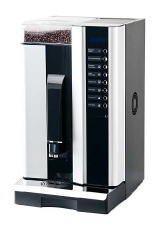 Modern technology meets classic style in this excellent bean to cup coffee machine. 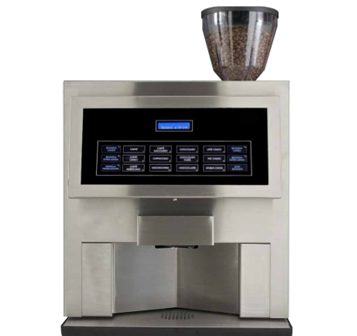 The HLF 3600f utilises fresh ingredients for the best possible coffees, plus with 2 internal powder canisters it can also serve hot chocolate and mocha. 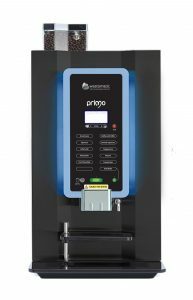 This flexible functionality allows the customer to choose from 12 different drinks. The touch panel and LCD screen make all of these options available at the touch of a button.